In our next post on impact for Academic Book Week, Anne Power talks about how her book, Cities for a small continent has had international impact, uncovering the hope and opportunity to be found in ‘post-industrial’ cities. Cities for a small continent traces the fate of leading industrial cities in Europe and the US over ten years; 2006-2016. The collapse of major industries – coal, steel, ship-building, textiles, and machinery – across huge swathes of European and North American city regions drove extreme job losses, population decline and disinvestment. The dramatic experience of deindustrialisation was particularly acute in Europe, the old, crowded, city-loving and war torn continent. As a result, city and regional governments, national leaders and the European Union all came together to form a City Reformers Group, based at the London School of Economics, to help our research team uncover what was happening to people stranded by unemployment, decay and economic turmoil. Were they in fact recovering as they claimed? Seven leading ex-industrial cities in six countries provided us with solid, grounded evidence, hosted workshops within their cities and organised visits to show us the devastation and dereliction, and to showcase their recovery efforts. 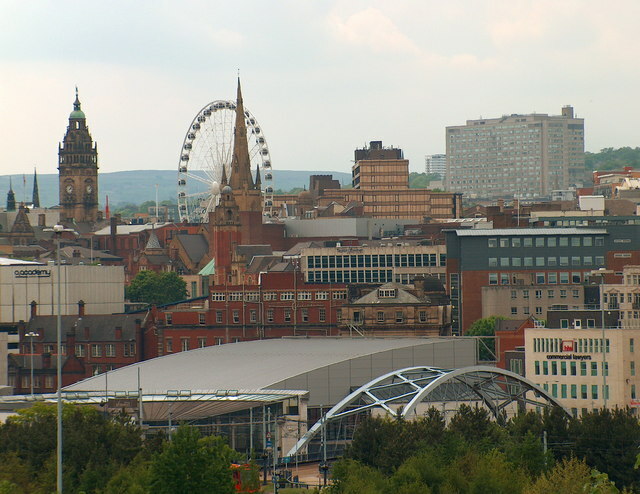 The cities most directly involved are: Sheffield, Belfast, Lille, Saint-Etienne, Leipzig, Bremen, Torino and Bilbao. This dynamic interchange at city level gives Cities for a small continent an immediacy and insight that would have been impossible without the direct participation of the cities and national governments.